Orangutans : Why Should we Care ? Perhaps because the issues that threaten their existence are the reasons Singapore experiences fluctuating (and sometimes alarming) PSI (Pollutant Standard Index) ratings ? Forest fires originate in Indonesia but the consequences affect us all – man and beast – in one way or another. The haze, that ghostly shroud of grey, that has become a recurrent annual phenomenon is a part of the same cycle of cause and effect that has rendered the orangutans almost extinct. On one of his visits to Singapore, Dr. Willie Smits held a small audience spellbound with unsettling facts and images of people, the planet and the animal world: of orangutans, rainforests, degradation, corruption and smuggling. Not surprisingly, it was not just about orangutans. The larger message was a clear and compelling reminder that nobody is an island and what happens in one part of the world impacts the lives of those in other parts. The haunted eyes of a baby orangutan, tossed on a garbage heap in a market in Balikpapan and left to die, had a profound impact on environmentalist, geneticist, microbiologist and forester Dr. Willie Smits; and rescuing the baby and nursing it back to health sparked a career change from forestry management to orangutan conservation. Saving the orangutan required much more than compassion and intent; it had to address the larger, complex issues of conservation, preservation, natural resource management and public policy – weighty matters of cause and effect that transcended country and region and embraced the future of the planet itself. His untiring efforts to restore the dignity of orangutans and ensure their place and space in the world have revolutionized reforestation policies and techniques globally. 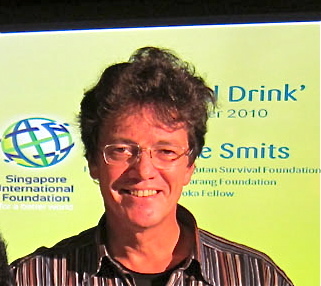 For his groundbreaking, ‘pattern-changing’ work, Dr. Smits has received numerous accolades from all over the world, including a knighthood from the Netherlands. Indonesia, among the G20, is the third fastest growing economy after India and China. Regional and global demand for timber, palm oil (for biofuel) and rubber have contributed to the country’s economic rise but have also, in the process, generated serious environmental issues impacting not only the archipelago, but neighbouring countries as well. Indiscriminate and commercial clear-cutting of Indonesia’s rainforests, the burning of peat swamps (the largest accumulation of organic material in the world), accelerated slash-and-burn agriculture (to access the mineral deposits small farmers and native people need for the crops they must to grow to survive) have resulted in the large scale, alarming destruction of habitats and ecosystems and the near extinction of indigenous species, including the orangutan. Land is laid waste; there is flooding, erosion, climate change. And of course, there are the forest fires, which lead to the haze, which Singapore is now all too familiar with; the shroud that threatens, dims and suffocates. Dr. Smits dwelt on an interesting aspect of the roller-coaster proliferation of the timber, rubber and palm oil businesses in Indonesia. The escalating demand for more land for plantations has dispossessed both orangutans and native people of their habitat, land and ways of life. The animals, out of necessity, have been forced to move closer to human habitation for food and survival. 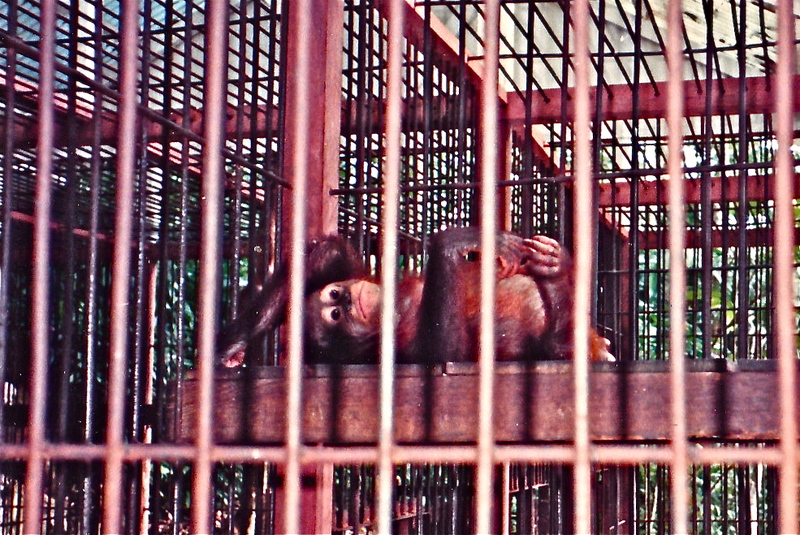 And in the same cycle of cause and effect in which they are the hapless victims, orangutans find themselves hunted, smuggled, caged as pets or curiosities (some orangutans have not stepped on soil for 35 years), made to box for sport, butchered, burnt, beheaded (the skulls aged in septic tanks and sold to tourists as exotic souvenirs), injured or eaten. Dr. Smits has a short answer : People, Planet, Profit (let the money speak). His solution is a sweet one called the sugar palm. It is a win-win one, which simultaneously addresses the plight of the orangutan, the restoration of degraded forestland, the future of the native people, business and commercial interests, economic health and the well being of those of us across the Strait of Malacca. This alternative to palm oil offers sustainably produced ethanol from sugar (or energy harvested from sunlight through natural photosynthesis) providing far more financial and environmental value than palm oil plantations. Sugar palms are fire and flood resistant, requiring just sunshine, rain and carbon dioxide to produce sugar water, which can be tapped daily for use as bio-fuel. 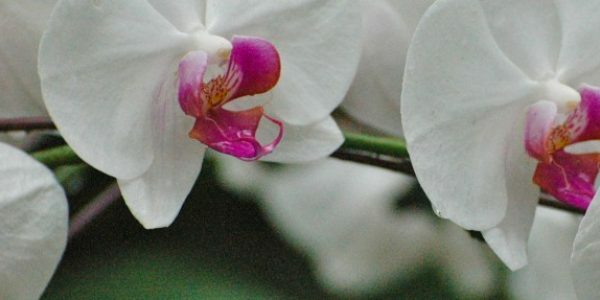 Compared to palm oil, they are more sustainable on a number of counts. The average output is higher. Jobs and incomes are preserved and increased over time. Dr. Smits’ solution places the production of sugar palm in the hands of the local people, through co-operatives, which need transparency and collective responsibility and which, in turn, translate into a fair and equitable distribution of profits. Everybody gains. And on the plus plus side, biodiversity is regenerated, new ecosystems develop along natural models, micro-climates are revived or created and, best of all from Dr. Smits’ perspective, orangutans are returned to their natural habitats. Why should this concern us in Singapore, apart from the ethics and logic of it ? Why waste money on orangutans ? wondered three sweet young 20-somethings after Dr. Smits’ talk. Shouldn’t money be spent on children who need it more ? It makes no sense. All this focus on monkeys, what is the point ? Everything – or nothing – depending on how you understand causality. As we have experienced, what is happening across the Strait of Malacca – environmentally, economically, ethically – is generating an environmental tsunami that is already impacting our everyday life; smog, pollution and attendant health issues have to be factored into school, work, home and play. Indonesia is the third largest emitter of greenhouse gases – not from industry, but from environmental destruction. This is a regional problem that requires law enforcement, education, integration, connection, transparency, accountability, change. Not just in Indonesia, but in Singapore, in the region, in the world. What can we do ? Stop the trade in orangutans, demand sustainable palm oil production (the West happens to be the largest consumer of bio-fuel), question, demand accountability from multinationals and business barons, demand change in policy and action. Because, as Dr. Smits’ has shown the world, when you save the animals, you save the forests; when you save the forests, you save the planet. And while we need our planet, the orangutans – and other animals – are entitled to theirs.